The third round of ABCD Small Grants Funding is now open. If you are unsure whether your project will be delivered in one of these areas, please contact us for advice. Priority will be given to organisations who have not previously been successful. Applications for work in other areas will not be considered. The Bradford District and Craven Health and Wellbeing Plan is clear about the changes required across our ‘place’ to deliver a sustainable health, care and support system. This will require integration of a significant nature and a paradigm shift for the NHS towards population health improvement and not just provision of health services. Transformation has already started with a vision for Happy Healthy at Home underpinned by a range of programmes of work designed to manage rising demand on services through different approaches. The most significant area of transformation is culture, behaviour and changing mindsets of service providers, commissioners and the people we serve. Bradford City and Districts Clinical Commissioning Groups (CCG) have invested non-recurrent funds to support and activate a range of grassroots community activities and ideas which will improve the health and wellbeing of local people. The intention is that the funding will promote the values and principles of the Asset Based Community Development (ABCD) approach which builds on the assets that are found in the community and mobilises individuals, associations, and institutions to come together to realise and develop their strengths. The exact approach required will vary from place to place, with some communities having a good understanding of assets and needs, whereas other areas may need to develop this work. 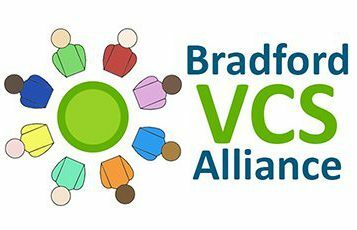 In all cases, representatives from the VCS anchor organisations will work with ward officers, local Councillors, Community Partnerships leadership teams, Community Action Bradford and District (CAB&D) and those with connections in local communities to develop a comprehensive understanding of existing assets and identify potential opportunities that could increase capacity in those communities. Communities and neighbourhoods need to feel confident that with this is the opportunity to improve things for local people and that they will have control over potential solutions. Funding and support will be available to facilitate the development of solutions with the aim of creating sustainable opportunities to improve health and wellbeing. The resources are available for one year and therefore cannot be spent on things requiring funding going forward. Developments have to be self-sustaining by the communities or services themselves. This model will be an effective way of reaching projects and smaller organisations who can benefit from community development work as well as strengthening Community Health Partnerships and leaving a legacy within communities. This proposal has been put together in conjunction with the sector and the Community Anchors. There is a simple application process using a simple and accessible form. Applications will be assessed by Community Partnership Anchor organisations and a local decision making panel which will include local ward officers/Councillors. The assessment will be based on how the group is planning to meeting health and wellbeing needs in their area using a community development approach. The aim of this project is to reach as many different groups and communities as possible. If more than one application seeks to work with the same group of people in the same area, then preference will be given to the group considered to have proposed the project which will deliver the best quality results. The deadline for this second round of applications is Friday 31st May 2019 at 5pm. Local community groups will be able to apply for £250 – £1000 to support their own project to meet the health and wellbeing needs within a specific area. Organisations can apply for more than one grant if they have access to a number of different community groups. The key focus is for local community groups to have an ownership of the opportunity. This funding is for the Bradford City and District CCG areas only. The project will run until the end of September 2019. The funding pot currently stands at £235,000 for the year. They can be as creative as they like, providing that the outcomes are clearly stated e.g. photos, video, include a report from the local media, write a report etc. The deadline for returning evaluations is Friday 6th September 2019.